Oh no! You need a fast gift, now! Here’s how sheet music will save the day. 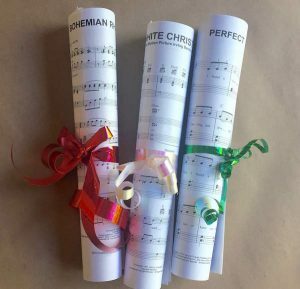 These are very quick (practically instant) ways to make a Christmas gift out of downloable sheet music prints. You can download them easily and instant print at home. 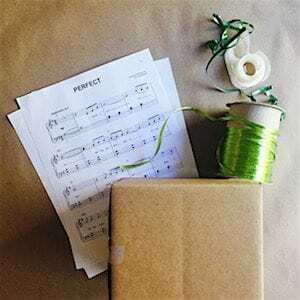 A quick, affordable way to fill stockings – stuff them with sheet music! Any musician will love getting a scroll of their favorite music. It’s easy to get. Just go to www.sheetmusicdeluxe.com and browse for songs by title, genre or instrument. Most songs are around $3.99 per title. Once you’ve printed your sheet music, roll it lengthwise. Then, tie it with a ribbon. Et voila! Stuff into the awaiting stocking. Not everyone who loves music is a musician. But what could be more perfect than to frame a beautiful piece of music as an art piece? 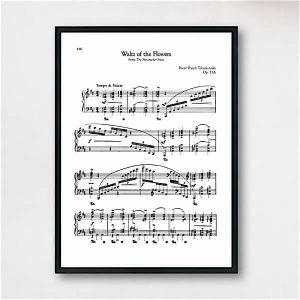 Sheet music prints onto 8 1/2 by 11 inch standard printing paper. It’s easy to print and frame! Go to www.sheetmusicdeluxe.com (there’s a big search window on the home page) and peruse until you find the perfect fit. Classical? Pop? Wrap up those gifts with sheet music. What a beautiful way to give your favorite musician their favorite music. It’s simple! Find premium sheet music at https://www.sheetmusicdeluxe.com/shop/ and search for the perfect piece. Then print and wrap. Be careful to not use a lot of tape, so the music remains in tact. If you don’t need the whole song to wrap their gift, roll up the remaining pages and put it in their stocking. So there you have it. If you can think of other ideas for last minute sheet music gift ideas, let us know! Do you want Christmas music? Here are some popular links. Join our Mailing list to get more great tips!